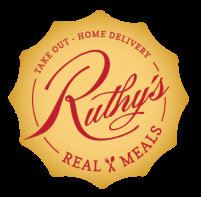 Ruthy's Real Meals offers meal delivery to your home or office every Tuesday and Friday. She uses only the highest quality ingredients, preparing each meal from scratch in new and old combinations. Organic and local sourcing are key elements in Ruthy's Real Meals. Takeout is available at their new location in Rohnert Park/Cotati. The Naked Pig is a new micro restaurant just down the street from us -- between Parkside Cafe and Spinster Sisters. Owners Dalia Martinez and Jason Sokach of Guerrilla Foods at the Wells Fargo Farm Market just opened a breakfast and lunch cafe featuring scratch-made Belgian waffles with toppings like whisky caramel, chocolate ganache and seasonal fruit compotes, along with pulled pork and chicharrones. You may find our artichokes or quail eggs on their menu. 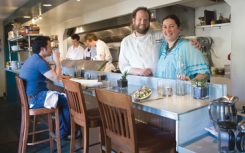 The Backyard in Forestville is a seasonal, sustainable, restaurant nestled in the town of Forestville, California. We draw our inspiration from Sonoma County, with all of its amazing bounties; orchards, farms, ranchers, foragers, and fisherman. Every vegetable, fruit, and animal is grown, raised or line caught locally. We value community and the moral, ethical practices of sustainability- which shine through in every dish.